PEARL HARBOR, Hawaii - Although 71 years have passed since the Battle of Midway, the tactical genius and heroism displayed then still inspires the Navy today, U.S. Pacific Fleet Commander Adm. Cecil Haney said in a June 4 message to the Fleet. Regarded as the turning point in the Pacific during WWII, the Battle of Midway took place June 4-7, 1942. "It is important that we pause routinely to reflect on our collective heritage and history," Haney said. "This week is a signature opportunity as we remember the Battle of Midway." U.S. Navy carrier strike forces, augmented by shore-based bombers and torpedo planes, scored a decisive victory during the battle that marks an important milestone for the Pacific Fleet, our Navy and our nation. "Midway still inspires us today. The battle clearly validated the value of innovative technology and the employment of combat assets to take advantage of critical intelligence gathering," Haney said. "It also demonstrated the courage of our Sailors and Marines that defines our Navy and provides a model to us all." The message went on to laud Navy civilians of that critical period, as Pearl Harbor shipyard workers "accomplished the near impossible task" of restoring the heavily damaged carrier USS Yorktown prior to the battle. 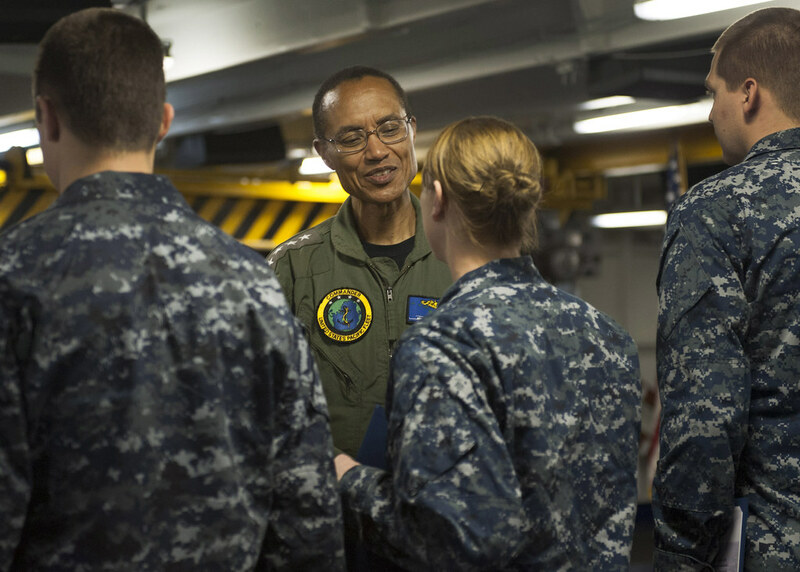 "Our proud history has always shown that people continue to be the key to the Navy's success," Haney said. "As we honor those warriors of the past, I also salute our Sailors and civilians of today who keep our Navy strong and operating forward in the vital Indo-Asia-Pacific region." Throughout Pacific Fleet and the Navy, commands are recognizing the anniversary of the Battle of Midway this week with commemorative ceremonies designed to instill an appreciation of Navy heritage and link generations of Sailors and civilians with history. "Let us all pledge to keep the memories alive of those who made victory at Midway possible and serve in a manner and in the spirit that would make them proud," Haney concluded in his message. For more on the Battle of Midway, visit the Battle of Midway page on the Naval History and Heritage Command's website.